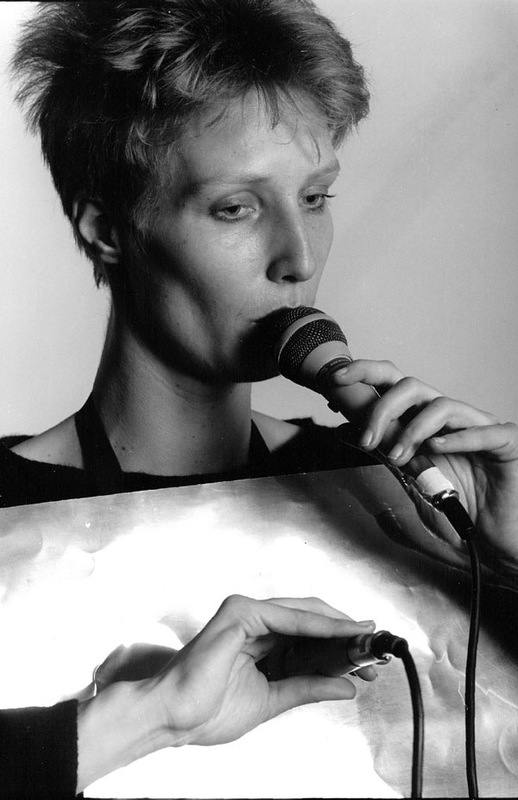 Ute Wassermann performing with her loudspeaker dress in 1989. In 2015 she composed a new piece called InPutOut using these loudspeaker dresses for Les Femmes Savantes (Andrea Neumann, Sabine Ercklentz, Ana Marie Rodriguez and Ute Wassermann are performing). The performers wear a loudspeaker connected to a metal plate. 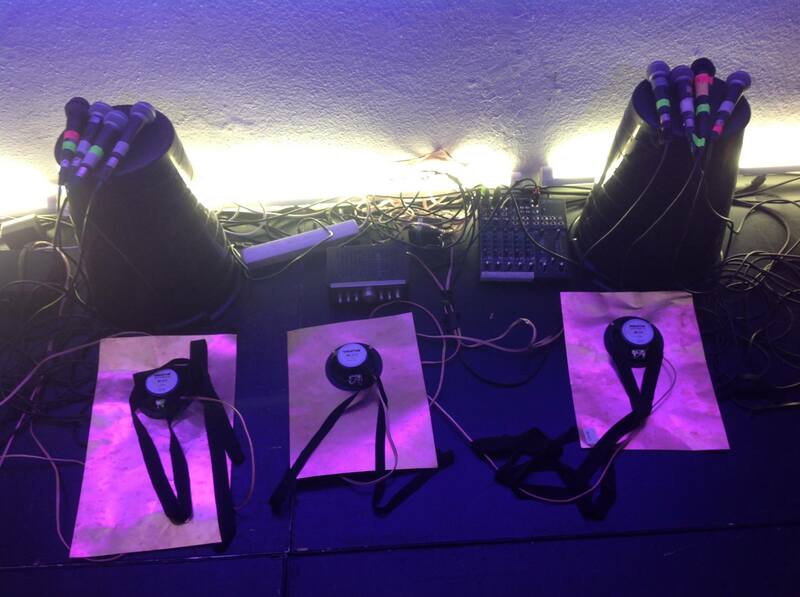 Microphones and loudspeakers used in InPutOut (2015) by Ute Wassermann. 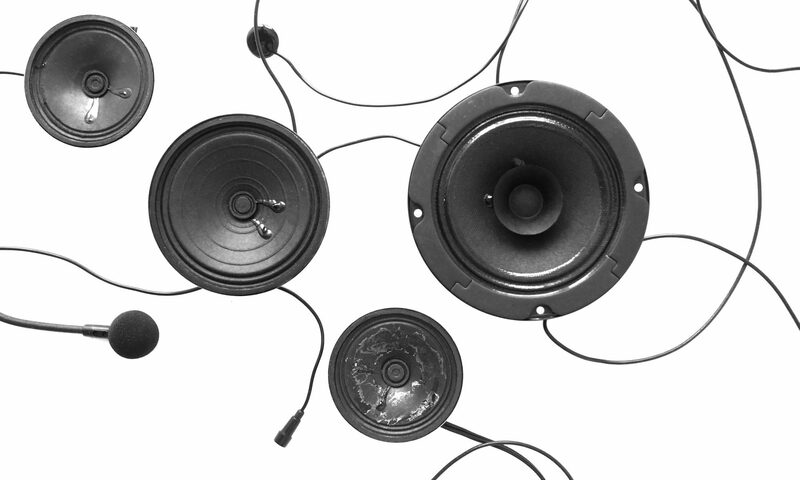 Each performer also holds two microphones: one to send the sound of the voice to the metal plate loudspeaker; the other one to amplify either the voice directly or the metal plate, which is excited by the voice. The signal of the second microphone is amplified through a small PA system. Holding both microphones in front of the metal plate, feedback between microphone and metal plate loudspeaker occurs, amplified by the second microphone, which is connected to the PA system. A clear example of this feedback through the metal plate can be heard at 5:00 in the video documenting the piece. The microphone movements in this piece reveal fantastic possibilities of voice colouring, sometimes reminiscent of ventriloquism.